Since 1886, Talbot constantly encourages the growth and success of all employees both personally and professionally. Because of this, the company has won numerous of awards and is now over 100 years old with a future that reaches beyond infinity. So what makes Talbot such a unique place to work for? Through my personal experience, the moment you enter the door, you are greeted by a positive vibe that gives you a sense of connectedness and family. There are company events that highlights individuals successes to social gatherings to get to know one another on a personal level. From supportive mentors, managers, and coworkers, it truly fosters a sense of value as an employee. I mean, I could sit here all day and talk about how amazing the company is but I think our most recent award can help better explain my experiences so far. 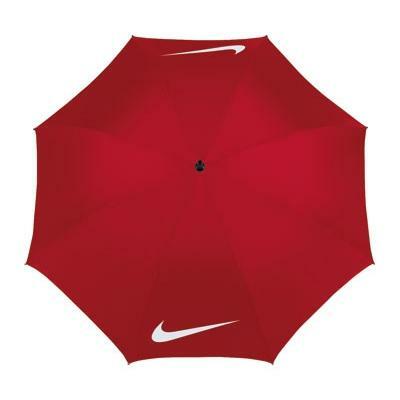 Taking the Advanced Green to Eco-Friendly Promo Products. With Earth Day just around the corner, why not go that extra mile to plant a seed in consumer’s minds that shows your company is supportive of the green movement. A company’s name on an environmentally conscious product goes beyond the every day promotion. It reinforces your commitment to Mother Nature, giving consumers a positive message and impression that your company is socially responsible. Using an eco-friendly product could be the sole reason a consumer buys your products, because they feel they are supporting a critical cause. The advancements with sustainable and eco-friendly products are truly amazing. Today there is such a large variety of products that can be made from eco-friendly material. Aside from the large amount of green materials available to us there is now also “seed paper” available. Not many of us are aware of what exactly seed paper is. Well we’re here to inform you! Seed paper is a special type of paper made completely with recycled and post consumer materials. The paper is embedded with wildflower, herb, or vegetable seeds. When you plant the paper in a pot of soil or outside in a garden, the seeds in the paper germinate and grow into lovely plants. So what can you use seed paper for? Well there are numerous of potential possibilities to use seed paper. Seed paper can be used for business cards, calendars, and note book covers, among many other types of promotional pieces. Companies such as Starbucks, Häagen-Dazs, Lululemon, Molson, West Jet and Honda are just some of the few large companies that have used Seed Paper as a promotional product. 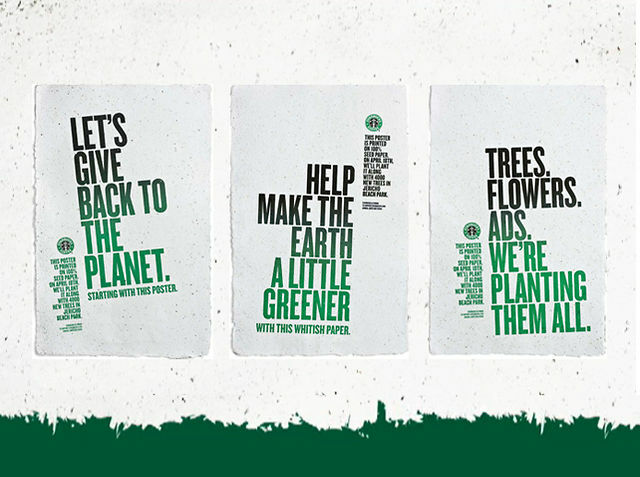 Companies get their message out there in a creative and eco way, while the earth gets replenished with new plants. In the end, everybody wins. 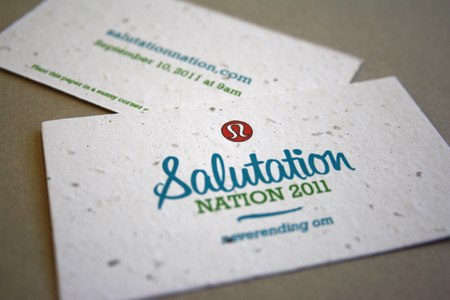 Check out these examples of major companies using seed paper today! With the mild weather lately, we at Talbot can’t help but day dream of what’s around the corner…Spring! And to make it official, even The Groundhog predicted an early Spring for 2013. It’s the light at the end of the dark winter tunnel. Less and less layers of clothing are required to go out and face the elements as the weather warms up. We begin to actually feel the warmth of the sun. It’s like Mother Nature is giving us an invitation “Hey! Come outside, it’s not so bad out here”. We begin to think about all of the outdoor activities we are able to participate in and realize what else makes Spring so great. It kicks off Golf season! As golf is becoming increasingly popular amongst different types of audiences, it’s easy to see why it is beneficial to use the sport for marketing reasons. 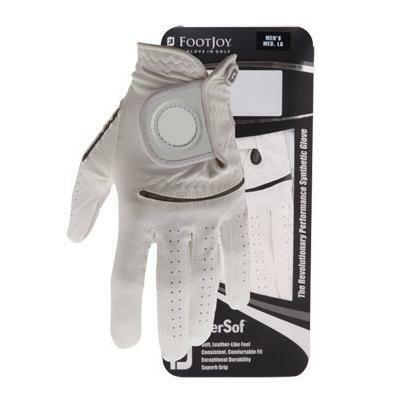 It is a very hands on sport that requires different types of accessories, equipment and apparel that businesses can take advtange of, to promote. 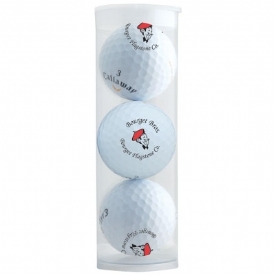 Golfing is a social activity that enhances networking and exposure, and what better way to showcase yourself and company, than through promotional products. Golf is a sport that any demographics can get involved with, and with moderate temperatures and extended Summers, avid golfers among us are able to enjoy the warm season even longer. 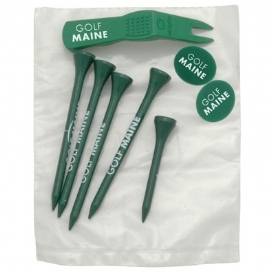 What better way to target existing customers as well as new ones than with golfing promotional gifts. 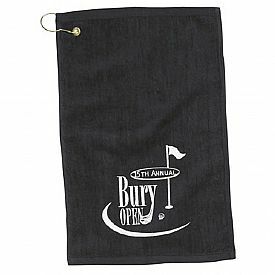 Take a look at some of these items that can be enjoyed while out on the green. 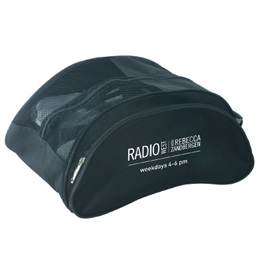 Talbot Marketing is one of Canada’s largest providers of promotional advertising, business gifts and corporate apparel. Talbot has 125 Sales Partners that operate from coast to coast. Talbot has been experienced exceptional growth over the past several years through alignment with new Sales Partners and acquisitions. Over the past several years, Talbot has been honoured with many industry accolades including Distributor of the Year, many Image Awards for work opposite their clients, and just recently Talbot Marketing was honoured as ASI’s 5th Best Place to Work in the Promotional Products Industry in North America. One of the biggest event this summer was the creation and transition of our new home. Talbot invested in a brand new, 30,000 sq. ft. modern facility to accommodate our team and our future growing goals. 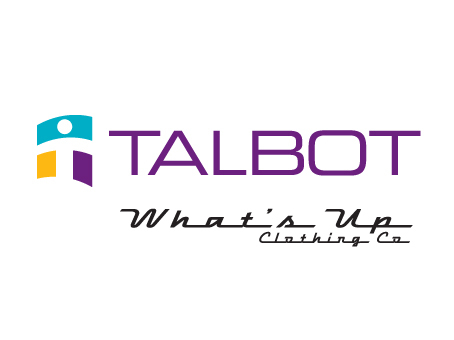 With Talbot newly located at 383 Sovereign Rd, London Ontario, our customers and visitors can expect numerous of changes; from a “retail-esque” show room, to a building shrouded by beautiful forestry and nature. Words cannot describe our new home and all of the efforts that have been put in place, so I highly encourage you to come down and see it sometime! With such a big accomplishment, we needed an a Grand Opening that can be seen miles away…literally. If there’s one that Talbot does very well (other than getting your name out there through promotional means) it’s our events. We typically like to go all out, and make every occasion memorable. How did we do this? Lets just say we offered hot air balloon rides in our front lawn, courtesy of Sundance Balloons. We invited close friends and family to celebrate this monumental day on September. 7, 2012, from catered lunches, music, prizes, supplier displays and much more, it was a very successful event. The Mayor of London, CEO of the PPPC and the President of the Chambers of Commerce made a special appearance and shared their own personal stories and experiences with Talbot. Finally around 12:00, the ribbon was finally cut to mark a new chapter in the history books of Talbot. It was a perfect day of a new beginning and we couldn’t have done it with out our friends, family and supporters. Talbot Marketing is clearly a company that has its act together. Two of us were admittedly groggy as we pulled up to the company’s brand new 25,000-square-foot headquarters late Tuesday afternoon, but we were quickly awakened by the welcoming claps—all in unison—of about 25 Talbot employees who were lined up at the door. Clad in matching polos emblazoned with the company’s logo, the employees wore identical smiles and all had something to say about why they gave Talbot high marks as a workplace. While many lauded the company for its hands-off management style and willingness to let employees let off steam once in a while (they already broke in the new outdoor space with a picnic), the overwhelming reason most loved to come to work was the frequent collaboration with one another. Case in point: The customer service team has frequent “process improvement meetings” whereby any employee, no matter what level, can chime in on how to make the next order better. Another source for collaboration, led by marketing coordinator Duong Tran, is a company intranet which is updated regularly with supplier exclusives, a sales leader board, and selling tips from company employees and key suppliers. Tran, who also coordinates the company’s social media efforts (he’s got a TweetDeck up on one computer at all times), says it’s the company’s way of fostering a “sense of community,” even for the company’s 50+ reps who are spread throughout Canada. 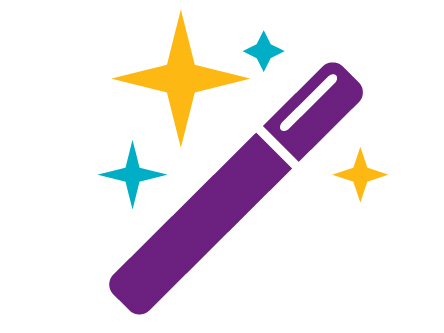 That sense can be seen throughout the building, whether in accounting, IT, and customer service, where one woman Mary Ann Romyn is so enthusiastic that she’s clad in Talbot purple, from head to toe. “I’m so happy to be here I just can’t believe it,” she says.